You’re most certainly going to love these non-toy gift ideas for toddlers and preschoolers! I’ve most certainly written about how much stuff we have in our home and wondered if I could live in a tiny house. I know the answer is no, but for the desire for simplicity and the ease of cleaning, I’m still daydreaming. My child’s playroom is growing more like the playroom I’d hoped for her, but I had never realized how much stress it would cause me in how much time I have to spend cleaning and the need for more organizational items (and the skills to implement a better organizational system). It’s about time to start worrying about Christmas and all the toys we’re bound to receive. The thought made me cringe. I can hardly bear it. I’ve had some difficulty getting rid of the toys my daughter doesn’t use and I’m going to have to find room for more? I need to put a plea out there for fewer toys. 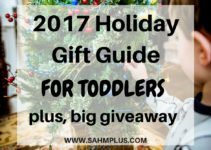 So, here’s a list of the non-toy gift ideas I came up with for toddlers and preschoolers. (Hey family: there’s a few hints for you if you’re reading this). *Disclaimer: I have included affiliate links in this post. If you make purchases after clicking these links, I will earn a small commission, which helps me pay for expenses to run this blog. Your support his greatly appreciated. What an amazing way to bring new stories, pictures, and educational materials into the home that doesn’t take up a lot of space. Plus, it’s really exciting for the littles to receive their own mail on a monthly basis. Its like giving a gift every month … how cool does that make you? Highlights Magazines – High Five is geared to children ages 2 – 6. Highlights Magazines offer another subscription for babies ages 0-2 as well. Cricket Media magazines: Babybug for ages 0 – 3 yrs, Click for ages 3 – 6 yrs, or Ladybug for ages 3 – 6 yrs. While these might be considered “toys”, there’s still so much educational value and family bonding experiences to be had with games. Plus, I still have room for games in our coat closet AND I’m tired of the 3 that we have that are age appropriate for my daughter. Here are a few toddler games I can recommend. ThinkFun’s Move & Groove: I reviewed Move & Groove a while back and fell in love with the game. My daughter calls it “the cube game”. Our family had a great time getting up and moving according to the instructions. This game provides family bonding opportunities, a few giggles, and plenty of opportunities to keep your kid active. Aside from the fact that we’re completely out of space on our bookshelves, books are always welcomed. My daughter loves reading so many books, that she practically has her own library and we still borrow books from the real library on a weekly basis. She’s been known to make me sit down and read all of our borrowed books in one day, too. And, she’s good about sneaking an extra book or two in the room at bedtime. 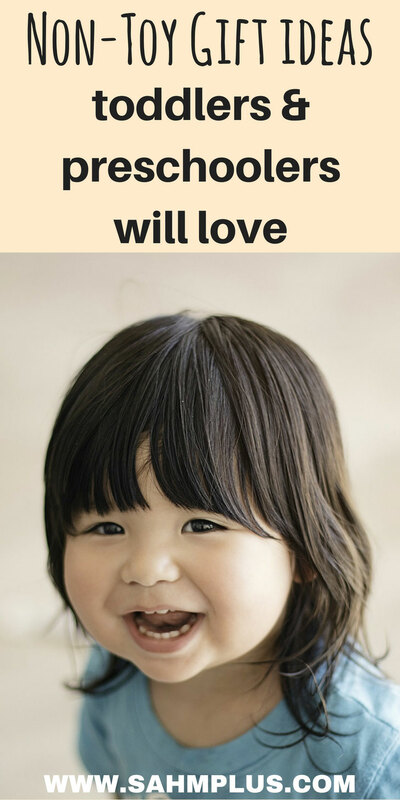 Get a toddler book (or a few) that you think they’ll love. Or, have books sent monthly like those from BookRoo. 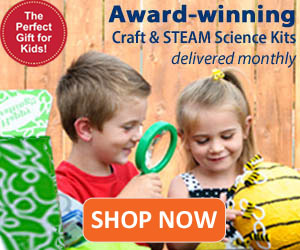 There are plenty of age appropriate monthly subscription boxes that would be a great addition to the work we do at home. These can range from book subscriptions, crafts, or hands-on projects that I’d be grateful not to have to plan and organize. I reviewed the Little Thinker subscription box which happened to take a lot of pressure off of me to gather and prepare supplies and kept my kiddo busy for a long time! 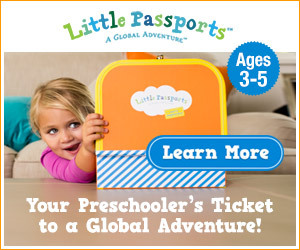 Are there any subscription boxes you would recommend for toddlers and preschoolers? Get kiddos learning more than their ABCs. Try giving a children’s kit for learning a foreign language or even sign language. There are intellectual benefits to learning a second language early on and there are plenty of options suitable for children. My two favorites are Dino Lingo and Signing Time. Still working on sleep training or having trouble with fears of the dark? Try something like Dream Team Pets. Your child thinks they’re training their pet to sleep, but they’re training themselves. Love non-toy ideas. Kids always have too many! No kidding. I don’t actually enjoy buying the kids in our families anything anymore because I feel like I’ll either get them a duplicate or they’ll never get around to playing with it anyway. These are great suggestions! Our little one is moving into the board games phase, so we’ll be adding a few more this holiday. And thanks for the suggestion on Move and Groove! I LOVE Highlights magazine, a great idea! The gift of sleep! I love that! My daughter loves receiving her Highlights magazines too! Our subscription is almost up for renewal and will DEFINITELY be looking to renew. What’s a Christmas Angel gift? I’m in the same boat with the toys, I’m actually starting to panic a little! My kids just have way too much so we are going to do some donating to the local shelters. I really love these ideas, I’m definitely going to suggest this list too. Thanks so much for sharing. Those are great. Books always go over well in this house, and so have games! These are great suggestions! My niece would love some of these. Hello Lvy, you are absolutely right. Children have several toys but, after some time they demand new toys. 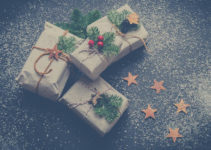 So non-toy gift is the best ideas for children. Thanks for sharing. Absolutely. And, in our case, my kids rarely play with the toys they have anyway!